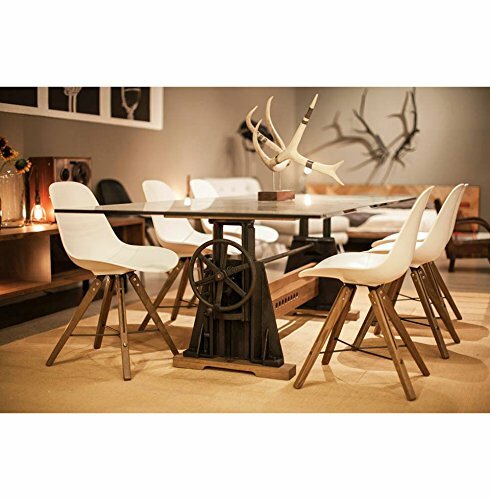 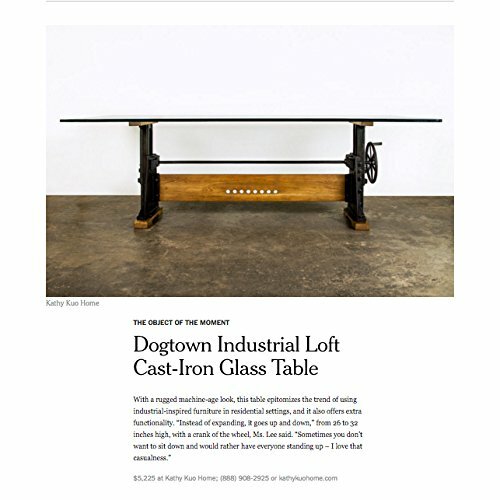 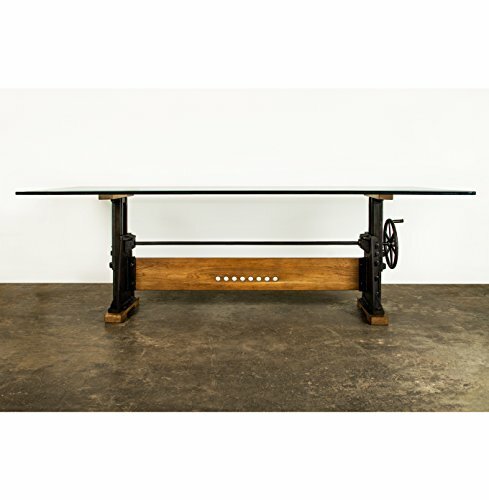 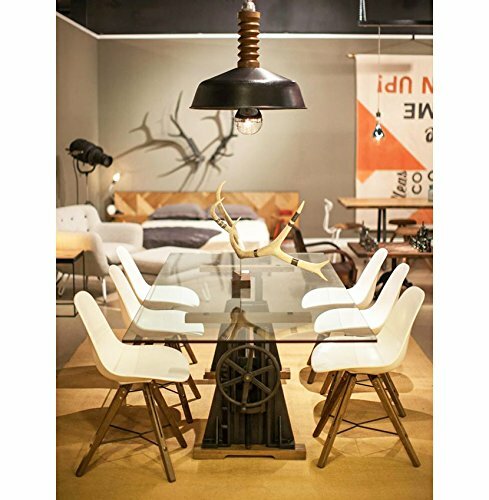 Crank up the coolness with this uniquely designed, adjustable, Industrial cast iron dining table. From the French oak beam to the three-quarter-inch tempered glass tabletop, there is nothing ordinary about this table. 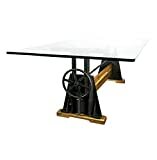 Solid cast iron is oiled to a rich black finish and adjustable between 26 and 32 inches in height, customizable for a perfect fit.